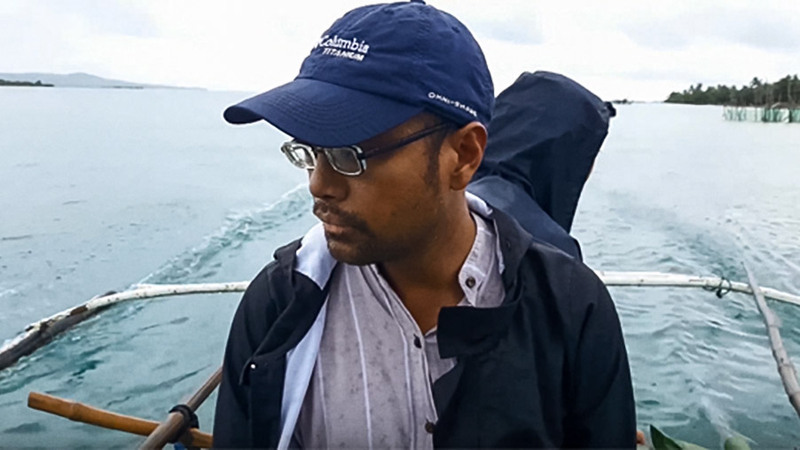 PhD candidate and Vanier Scholar Dennis Gupa is exploring the interconnection of sea rituals, climate change and applied theatre in his native Philippines on traditional ecological knowledge and practices. All graduate candidates will normally follow the project-based options described in the UVic Academic Calendar. In exceptional cases, a candidate may be granted permission by the graduate adviser to follow the thesis option, which requires completion of 9 units of graduate coursework and a MA essay of 6 units. Each student will be assigned a faculty supervisor who will assist the student in the development of the final project. Applicants must have practical theatre experience. Candidates may be required to write comprehensive examinations before proceeding to the practicum. Each student will be assigned a faculty supervisor who will assist the student in the development of the practicum and the report. Doctoral students may propose and pursue research projects on a wide range of topics from Greek tragedy to Broadway musicals, dance to opera, the history of applied theatre to the economics of commercial touring, melodrama to Modernism, spectacle to social identities, indigenous theatre to theatre technology. Faculty research in these areas coalesces around four themes: 1. Democracy and Community Empowerment, 2. War, Conflict, and Revolution, 3. Modernity and Technology and 4. Identity Formation. Doctoral students may propose and pursue research projects on a wide variety of topics: from the history of Applied Theatre to the devising of contemporary plays that explore pressing social issues; from the educational uses of theatre in school to broader applications within the wider community; from theatre for young audiences to reminiscence and intergenerational theatre; from theatre in conflict and post-conflict zones to the uses of theatre with refugees and internally-displaced persons; and, from theatre for social justice to indigenous language revitalization initiatives. Faculty research in these areas coalesces around four themes: 1. democracy; 2. education and community empowerment; 3. conflict and war; and, 4. identity formation. Students can apply to a Masters or PhD program in Applied Theatre. Students research and facilitate a practicum project, in conjunction with a community organization or research institute. Theatre History students will research and prepare a scholarly paper suitable for presentation at a sanctioned academic conference. Projects with a theoretical orientation are encouraged, but other types of research within theatre history and drama are also possible. Prospective candidates are invited to discuss their research interest directly with the department. either a general knowledge of Western theatre history, from the Greeks to the present, or a strong background in dramatic literature. a familiarity with the practicalities of theatre production; design, direction, and performance. Directing students will direct a number of short projects and at least one full-length mainstage play for completion of their MFA. A practicum production is required along with a practicum report. Members of the performance faculty supervise all projects and productions. We are also proud to offer MFA students opportunities for apprenticeships and assistant directing projects with professional companies such as Victoria's Belfry Theatre and Pacfic Opera Victoria.. Note: Only one student is admitted to the MFA Directing program each year. Design students develop their knowledge and skills in three major fields of design for the theatre; scenery, costume and lighting with practical application of theoretical knowledge and learned skills emphasized by providing designs for a departmental productions. Students specialize in one area of design, with a minor specialization in a second area. The candidate’s final project involves designing one or more elements of a realized mainstage production as well as a written essay about the practicum project. We are also proud to offer MFA students opportunities for apprenticeships and assistant design projects with professional companies such as Victoria's Belfry Theatre and Pacfic Opera Victoria.